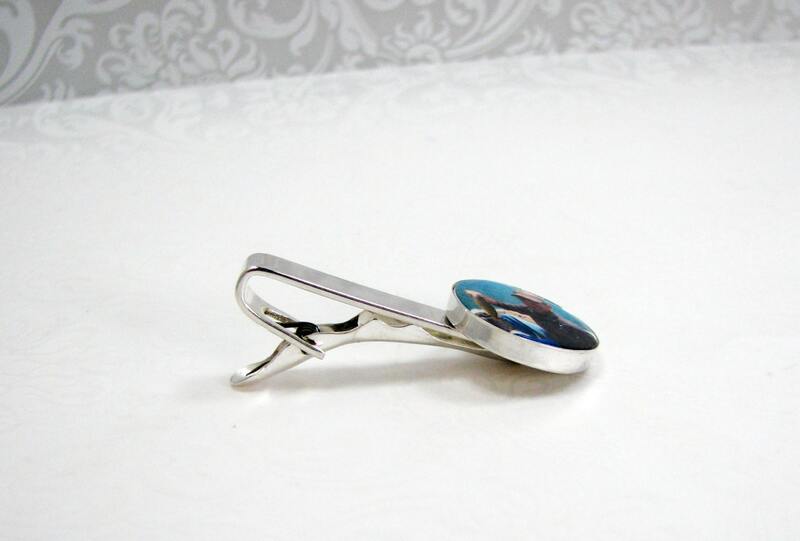 This is a beautiful Sterling Silver Tie Clip. 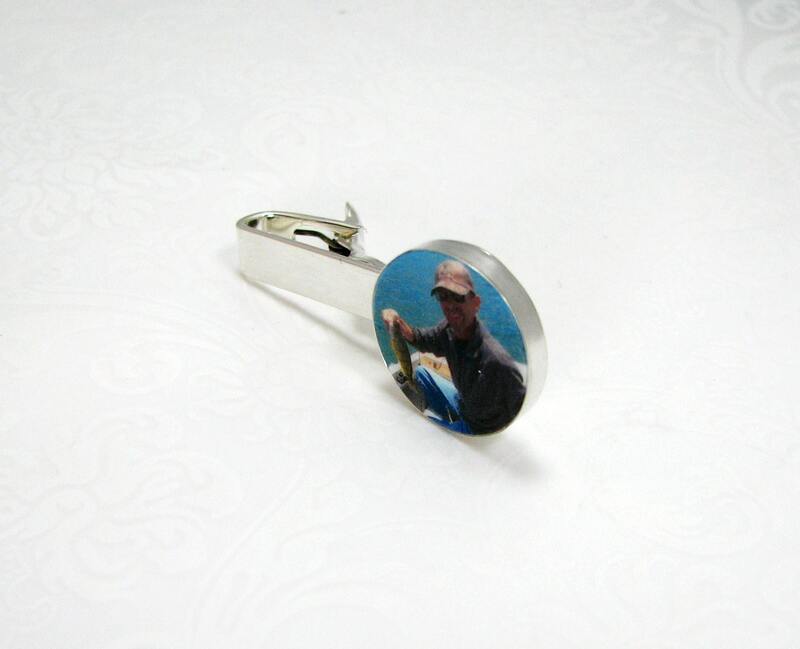 It is 18 mm across, and it is also available with a square photo. 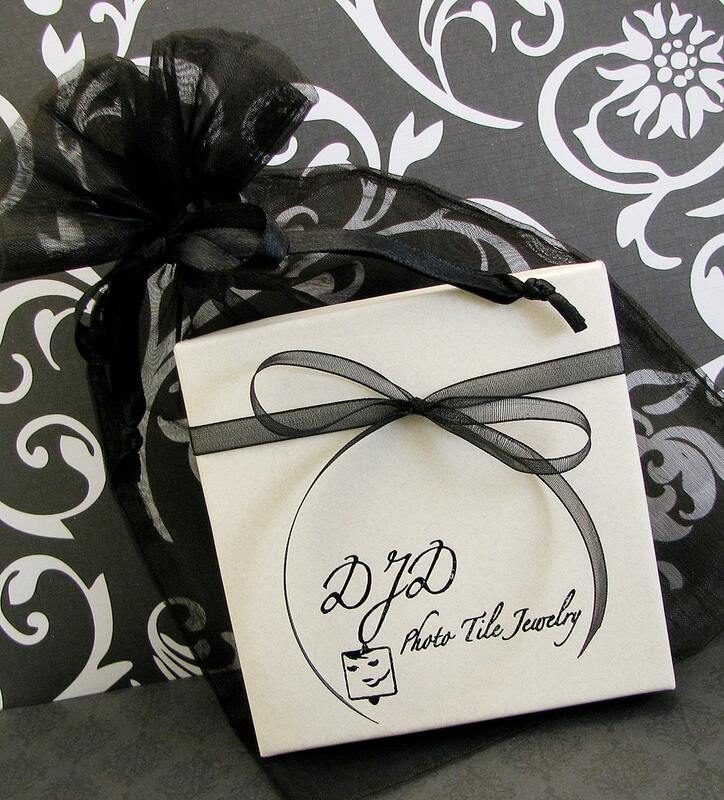 This would make a cherished gift for anyone. 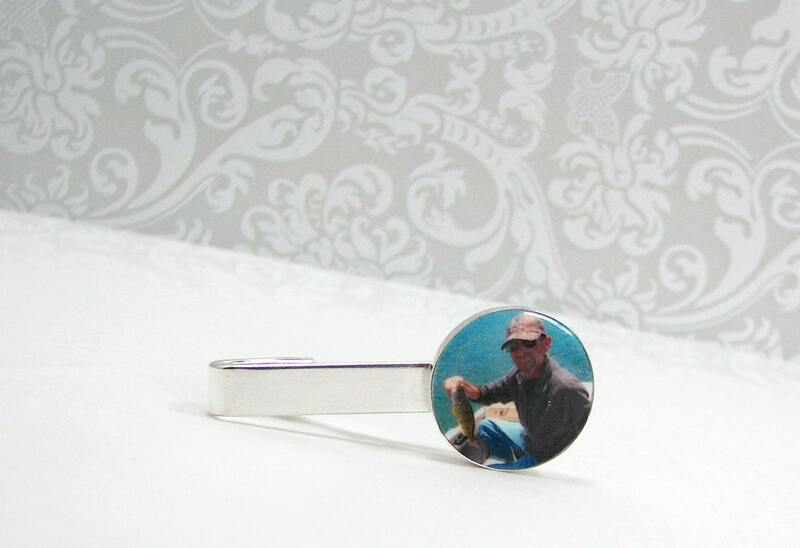 Order it for Dad on Father's Day, or maybe give one as a beautiful memorial gift to your groom to be.